This article is the final part in a three-part series. You can check out Part 1 here and Part 2 here. I find it interesting that each subsequent part of my tale speaks directly to the experiences of an increasingly smaller and smaller segment of my readers. The first part—how I learned to play—struck a chord with just about everyone (if my email is any indicator). Part 2, my rise up the tournament ladder, was representative of a much narrower group of players' own stories, and today's installment will cull those numbers twice more; I'd be surprised if one reader out of ten of this column has played on the Pro Tour, and of those, only about ten total have ended up in Wizards R&D. But I hope that even as my tale diverges from your own you still find it compelling—a "what if" scenario for your own life, perhaps. After finally qualifying, I shifted almost all of my Magic-playing time to drafting Tempest block, most of it spent at the "O" on CMU's campus. Aside on the "O": "O" is short for Original Hot Dog Shop. The "original" Original opened in 1960 in Oakland, the Pittsburgh neighborhood where the University of Pittsburgh is located, right across from Forbes Field. Forbes Field has long since been leveled for more University buildings, but the O remains a fixture known for its awesome food—once ranked as the fourth-best hot dog in the country—and as a volatile late-night hot spot, where college kids mix with some of the city's more dangerous residents (both gangs and police). An offshoot O opened on CMU's campus in 1996, with 100% fewer gangs, and it was there that Team CMU played all of its Magic in between devouring the most ridiculously large servings of French fries you've ever seen. Sadly, the CMU O closed in 2005 in the wake of an Equal Employment Opportunity Commission complaint. I got pretty good at the draft format thanks to not only the drafts and games themselves, but also the analyses and dinner-time conversations with the CMU gang. On the plane to Chicago, I sat next to Randy and went over our strategies again. The event itself was pretty awesome. It would have been much more intimidating and overwhelming had I not had a group of friends that were already familiar with the scene; in no time I was being introduced to the Gary Wises and Chris Pikulas of the world. I kept my cool and did really well on Day 1, going 6-1 and defeating some players I'd read about in the Sideboard magazine. Day 2 wasn't quite as terrific. I went 2-2 with my first deck, losing to Lauer in one of the rounds, and 2-1 with my second deck, losing to Turian. At the end of the day, I watched Randy in a feature match against Canadian bad boy Ryan Fuller. Ryan had asked a spectator if he should offer an intentional draw, and Randy nailed him for seeking outside assistance during a match, costing Fuller a game. Fuller, undaunted, won the other two games, securing a Top 8 spot. Part of Randy's game was his complete knowledge of the floor rules, which he would often use to his advantage to win matches and then recommend fixes for the problems to the DCI officials on hand. I finished 17th at that event, which was pretty awesome as it qualified me for the next two Pro Tours—the Top 32 meant I was invited to Pro Tour—Rome, and my inflated Limited rating all but guaranteed me an invite to the subsequent Pro Tour in Los Angeles. Mike, Randy, and Erik all finished in the Top 16. I had bragging rights over none of them. My biggest regret on the weekend was that the Urza's Saga prerelease was happening concurrently and I didn't get to play in it! I was never actually a member of Team CMU while Randy was the sheriff. To Randy, there had to be a positive expected value to adding someone else to the team, and I never reached that threshold. Nate Heiss, on the other hand, was invited after a couple of strong finishes. Pat Chapin, and out-of-towner, was also on the roster for a while, as was Brian Schneider. I think Randy wanted Schneider on the team not because he was a good bet to win money, but because having him gave CMU exclusivity regarding Schneider's well-known deckbuilding prowess. Even though I was not an official member, I did get a lot of the perks anyway, including access to decklists and cards so long as I contributed to the playtesting. So for Pro Tour—Rome, I had a copy of the ridiculous Vampiric Academy deck that Erik Lauer piloted to the Top 8. Going to Rome was amazing in and of itself—it was my first time out of North America and the first time I ever needed to have a passport. The hotels and restaurants were so different than anything I'd ever experienced in America, and I was thrilled that playing Magic had given me the opportunity to see such amazing sights as the Roman Coliseum and the Vatican. The Academy deck was so powerful that I would win matches with it despite my own best efforts. I bumbled through the event, forgetting how much mana I had floating at various times, sacrificing Lotus Petal before tapping my Academy, scooping when I still had outs. I squeaked into Day 2 in 63rd place, and managed to improve that to 46th by tournament's end, again making a bit of money. I had planned on doing well in LA, which was triple Urza's Saga draft. Randy, Mike, Andrew Cuneo, and I had spent a weekend at Worth Wollpert's house in Ohio practicing with the Deadguys. Randy organized a huge draft tournament at the O which was attended by a dozen or so of the best Pros from the East Coast. I came in second, losing to Lauer in the finals. But it didn't work out at the Pro Tour. In the final round of Day 1, I was facing Scott Dodson (who has since gone on to become the CEO of another game company). The games were tight, but I had a decent hand and a plan to win. Of course, that plan hinged on my 6/6 Winding Wurm actually being in play, so when I untapped and drew my card without paying the Wurm's echo, my plan was sunk. Curse you, echo mechanic! So I spent the rest of the weekend in a daze trapped aboard the Queen Mary. And that was that. I didn't have sufficient Pro Tour points or rating to play in Pro Tour—New York that year, so it was back to the PTQ circuit. The first Pro Tour of the 1999–2000 season was something new and different—a three-person team event. Because teams could qualify using the members' combined PT point totals, I was told to make myself available should any teams need another member. I had a handful of points from the previous year even though I wasn't on the "gravy train." Pat Chapin came to Pittsburgh for a while and tried in vain to break up the Buehler / Lauer / Turian team so that he could play with one or more of them, but eventually "settled" with me and Eric Taylor as his teammates. Our team—"Pat Chapin and the Dinosaurs"—won the first-ever Team Pro Tour feature match, a match that nearly never happened because Pat and Eric arrived at the event only moments before it began, having driven all night well over the speed limit from Michigan to Washington D.C. We finished a respectable 18th. It took me another three events to get back to the Pro Tour; I won a Mercadian Masques Sealed Deck PTQ in Ohio for PT–LA 2000. But two important things happened during that "downtime." One, I got married to Anne. She stuck with me through all my Magic-playing years and continues to stick by me to this day. Two, Randy went to work for Wizards of the Coast R&D, and Team CMU slowly started breaking apart. That PT–LA was a bad one for me; I tried to apply a rigorous system, but all it did was screw me up. No Day 2, back to the PTQs. Shortly after Randy left, Erik Lauer moved back to his home state of Connecticut. 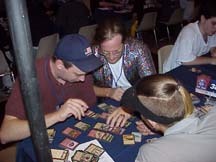 "Team CMU" was officially disbanded, although Turian and Dan Silberman still played at the O every week, along with myself, Andrew Cuneo, Nate Heiss, and a cast of other players, some of whom I brought with me from Pitt (where Magic night had dried up and disappeared shortly after I started playing at CMU). CMU's presence on the Pro Tour quickly dwindled to just Turian, but the rest of us kept trying. We had a big breakthrough at Regionals when Elliot Fung and I both made the Top 8, earning invitations to Nationals. I was playing my green-red "Angry Hermit" deck, which featured heavy disruption in the form of Plow Under, Avalanche Riders, Rishadan Port, and Arc Lightning and hard-to-stop finishers like Deranged Hermit, Treetop Village, and Masticore. The deck, which I designed initially at my brother's behest—he wanted a red-green land destruction deck to play at States the year before—did well for both me and Turian at Nationals. We both made the Top 8, as did Elliot Fung playing the same style of Rebel deck that he did at Regionals. All three of us from CMU made the Top 8, prompting those covering the event to proclaim "New CMU" as a legit team in the post-Buehler and -Lauer era. 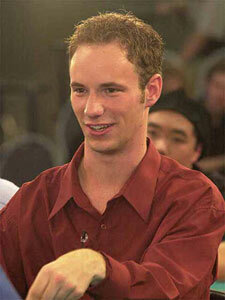 I remember Jon Finkel, already a lock for the Top 8, walking around the tables during the last round of Swiss. I was playing Mike Pustilnik for a Top 8 birth, and Jon stopped by and said, "Excellent, I'd be happy with either of you on the team." That felt pretty good. That Nationals Top 8 was an awesome one—I had to play against Finkel, Mike Long, and Turian in three consecutive rounds. In the end, I made the National team alongside Finkel, Chris Benafel, and Frank Hernandez. Turian didn't think the trip to Brussels for Worlds was going to be worth it, so he uncharacteristically skipped it, making me the lone Pittsburgher going. Luckily my wife decided to come with me, and we had a blast in Belgium. The US Team was strong—we crushed everyone in the Swiss (I finished 22nd and was third on the team), and then went on to beat Canada in the finals. Finkel capped it all off by beating Bob Maher in the finals of the individual competition. The best part of the whole thing was that the team competition was videotaped to be aired on ESPN2. I still have that tape and have shown it to many a friend and relative that don't quite "get" Magic. I had hoped to team up with Turian for the upcoming Team Pro Tour in New York. Turian, Nate Heiss, and I had almost worked out a deal the year before that would have dictated that the three of us be a team, but it fell through, and Turian ended up hooking up with Gary Wise and eventually Scott Johns. Turian may not have gone with his hometown crew, but "Potato Nation" did exactly what they set out to do—win the Pro Tour—so I can't argue with their success. So if I was going to play in the Team PT, I was going to have to qualify the hard way. Andrew Johnson was a brash young CMU player with a lot of talent, so I tapped him as a teammate, and then went about trying to secure underrated veteran Andrew Cuneo as the third. Cuneo's interest in Magic ebbed and flowed, and he wasn't a huge Andrew Johnson fan, but I must have caught him on a good day because he agreed to drive to Columbus to play in a PTQ. 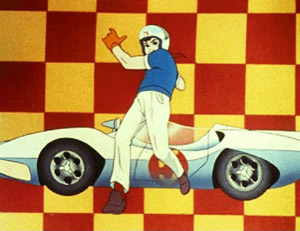 I dubbed us the "Car Acrobatic Team" for no real reason other than I liked obscure pop culture references; that particular one is from the "Speed Racer" cartoon. That PTQ had only 11 teams in it, and we lost twice early. In the final round we got a bye and were getting ready to leave, but I figured out we could make the Top 4 if about eight different things all broke our way, and they miraculously all did. We ended up winning the qualifier. Our success carried over to the Pro Tour; I was surprised at how well we did there. None of us had much individual success on the Pro Tour, but as a team we worked incredibly well together. We knocked off some big names, including Your Move Games, on our way to the top, eventually falling to Potato Nation. Considering we both used a draft strategy that had been devised mainly by Turian, it was no surprise that we lost. But that finish finally put me on the "gravy train," meaning I was qualified for all the upcoming events. Check these out: 198, 87, 232, 138. Those were my finishes at the next four Pro Tours. A lot of good being on the gravy train was doing. Maybe knowing that I didn't need to fight for every individual invite made me complacent, although it certainly didn't feel that way at the time. At least my wife got another trip to Europe—Barcelona this time—out of it. In that time, the CMU crowd had grown to include eventual US Champ Eugene Harvey, eventual US Nationals Top 8er Mike Patnik, and internet curmudgeon John Friggin' Rizzo. Those were the days. Although my results were pretty bad at that time, I did get into writing. I had done a couple well-received tournament reports after my initial burst of success and was offered a columnist position on the Dojo—the first big-time Magic strategy site—during its waning years. From there I moved to Star City Games, where I wrote more about issues than strategy. I also picked up a gig as a "contributing editor" on Meridian Magic, a Magic "portal" site that gathered the best writing from around the 'net in one place. Mostly it was a way for me to do something interesting while stuck in my data processing job. Turian made the Top 8 at Worlds in Toronto using decks that we had worked on together extensively, but I did poorly once again. I was down to one last shot to stay on the train, the next Team PT. Anne and I were watching the baseball All-Star Game on TV one summer night in 2001 when the phone rang. I answered. It was Mark Rosewater. Mark explained that Wizards was starting a new Magic website that would have a lot of daily content and asked if I might be interested in applying for the position. He and some other guys around the office had noticed my writing and my editorial work over at Meridian Magic and figured I had what it took to manage the content of the site. The All-Star Game was in Seattle that year, which was a sign. Both Anne and I were in jobs we didn't like, and we really felt like a change of pace was in order. This seemed like it was too good to be true, so I said yes. I was both surprised and flattered that what I had been doing on the web—it felt like so little at the time—was noticed. Ever since Randy was lured away by Wizards years before, I always had it in the back of my head that I would love to work there myself. But I wasn't half the player or theorist that Randy was, so I didn't really expect to ever get into R&D, and I didn't see any other way in, so I considered it a pipe dream. Nonetheless, I always acted responsibly with regards to the game, doing my best to promote it whenever possible and carrying myself as an ambassador at all times. I certainly never asked for a job, never bombarded the company with resumes or requests, never even mentioned to Randy that I had any interest in Wizards. But somehow it all just seemed to work out. I wasn't the only candidate, and I wasn't the most qualified candidate, so I wasn't too terribly comfortable with my chances. But I did well enough on the phone interview to be asked to fly out to Seattle to interview. I rocked a suit at the interview, and was amused to be seated across from, among others, Mark Rosewater in his flannel and comic book T-shirt and Doug Beyer in his cutoff jean shorts. What an awesome corporate culture. The Car Acrobatic Team returned to Madison Square Garden ready to repeat our previous year's performance, and we nearly did it. We stayed near the top of the standings for the whole event, eventually being eliminated in the quarterfinals by Kai Budde, Dirk Baberowski, and Marco Blume—the legendary Phoenix Foundation. Although that team would eventually become the first to win two Team PTs, we were the first to make two Top 8s. That high finish again secured a year of qualifications for me. I was talking to Dave Price, a man who scratched and clawed for many of his qualifications, about my chance to work at Wizards after the event, and he said, "You'd walk away from six Pro Tour qualifications? Are you crazy?" It was an interesting point—if the game was the fun part, why would I walk away from playing? It looked like it might not actually matter, however. On Sunday, after the finals were over, Rosewater pulled me aside and told me they had chosen another person for the job. It stung a little, but at least I could keep playing on the Pro Tour. A couple weeks later, back at home, my phone rang again; again it was Rosewater. Change of plans! Their first choice didn't work out for some reason, and they were willing to offer me the job now. The catch was that I'd have to be moved to Seattle in less than a month. It seemed like it would be a tough decision to uproot everything and move across the country in so short an amount of time, but the fact that we had so little time to mull it over probably made it simpler in retrospect. We broke the news to our families—very gently—and started arranging to move. You can read my "goodbye" article on StarCity here. Anne and I had a wonderful seven-day drive across the country from Pennsylvania to Washington. We stopped in Minnesota to see some relatives, at Mount Rushmore, and again for a night in the Old Faithful Lodge in Yellowstone. We eventually found our way to Renton where our new lives were to begin. After a month in a hotel, Anne found us a nice little house on the Cedar River, and she eventually found a decent job. We liked it out here, and I was plenty busy getting magicthegathering.com up and running. As you can see from the inaugural article on the site, a lot of the things Mark and I came up with from the very beginning are still in place today. The web site, while a cool project to work on and a great window to the community, was a daily grind. Articles needed put up every single day come hell or high water. The real action, from my perspective, was in R&D. Those guys had it easy—play Magic all day and figure out what cards should cost. How lucky. I hung out in R&D as often as I could and became a useful contributor. I built decks and played in the Future Future League, and was often consulted about the power level or coolness of certain cards or mechanics. At one point, as detailed in my article My First Card, I was asked to be on the Fifth Dawn design team, mostly as an experiment that could lead to some interesting web content down the road. Now I had never been much of an amateur card designer; I wasn't one of those people making custom fan sets (although that approach certainly worked for people like Pat Chapin, who interned here for a year, and Greg Marques, who parlayed an offsite design opportunity into a fulltime job with our new Digital Games department). But when I sat down to make some cards for Fifth Dawn, I had some pretty good ideas. I ended up making both of the set's mechanics—sunburst and scry—as well as a high number of individual cards, like Razormane Masticore, Eternal Witness, and Trinket Mage. While I was on leave following the birth of my first child, Randy Buehler stopped by my house to offer me a position in R&D. I gladly accepted. Once in R&D I worked on Ninth Edition, all of Ravnica block, Coldsnap, and Time Spiral in some combination of design and development, including leading the design of Dissension. I was eventually given the position of "Advanced Designer" and was given the reins for the design of the upcoming Lorwyn set. Sometime while Lorwyn was in design, Head Developer Brian Schneider announced his intention to leave the company, so I threw my hat in the ring for his position. While I enjoyed design, I also really like the polishing of the final product—the tuning of mana costs and Limited environments that ultimately shapes players' experiences with each new batch of cards. I won that position, meaning that as soon as I finished designing Lorwyn I would have to oversee its development. Just as I didn't make it through Lorwyn design as a designer, I didn't make it through Lorwyn development as a developer. Randy Buehler, then the Director of Magic R&D, had been putting together a proposal for a new department for the business for quite some time—a department that could build off our experiences with Magic Online to some larger digital presence. Eventually that department was given the green light by the higher-ups, and Randy was put in charge of it, leaving Magic R&D without a director. I applied for that position as well, and was fortunate enough to get it. I consider it a "battlefield promotion." Circumstances dictated that someone needed to fill that role, and although I wasn't a perfect fit because I hadn't spent much time at all in my current leadership position, I was the best option the department had. With experience and counseling from Randy and R&D Vice President Bill Rose, I plan on being the "perfect fit" very soon down the road. So that's how I got to be the man in charge. It feels almost unreal when I go back and reread all that's happened to me. It's a different world here at the top, dealing with big-picture issues like finance and personnel as opposed to card costs and mechanics. I do plan to stay hands-on as often as I can; I'm leading the development of "Jelly," which gives me a great excuse to leave the office and shuffle some cards several times a week. It has been an amazing decade for me. Since my journey began, the babysitter who taught me how to play D&D has passed away due to complications with diabetes. My own father died last year as well; he was buried with his baseball dice in his jacket pocket. I wish he could have seen my final achievement. I have two daughters—Athena and Astrid—who have known no home other than Washington. My brother and I still play games when we can—Magic when one of us visits the other, adventuring in World of Warcraft in the meantime. My old pal Jake, who quit sometime during Urza block, is getting married this summer in D.C.; I'll have to bring him some cards. Erik Lauer has resurfaced and is now doing wonderful work as a developer in R&D. I have gone from being a fan of Mark Rosewater, to a project of his, to an employee of his, to his boss. 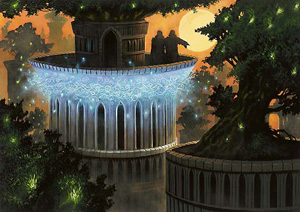 Yet through it all, Magic has remained essentially the same—an awesome game full of endless possibilities that I still enjoy playing as often as I can. 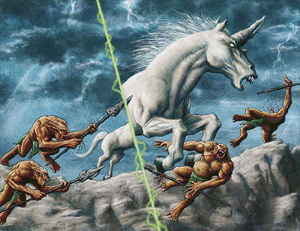 What is your favorite creature's power? There was supposed to be a "+" after the 7, as in "7+." It was accidentally omitted when the question was reformatted. My apologies to anyone who felt like they couldn't cast a fair vote because of it.